a little statue (or framed picture) of your own personal heroic figure (thinking of bruce sterling, or john maeda) is standing on your desk. 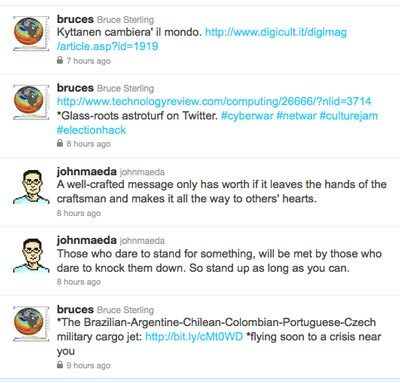 it integrates a little screen where the (ca 5) last twitter messages rotate. at very slow speed, of course, like a sort of zen mantra.